FREE Storytime At Barnes & Noble On April 11! You are here: Home / FREEbies / FREE Storytime At Barnes & Noble On April 11! It’s time for storytime at Barnes & Noble! Head to your local store for FREE Storytime at Barnes & Noble on April 11 at 11 a.m.! 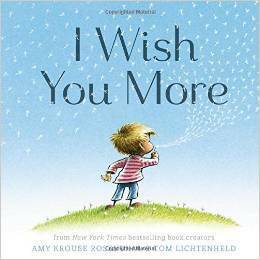 The featured book will be “I Wish You More”. There also will be activities related to the book! You can buy the book here!